Can you work out how much shelving I need? We can arrange for one of our staff to meet you to discuss in detail what your requirements are. We can even measure your floor space to work out exactly how much shelving you need? Yes, if it is not possible for you to take your stock away from our warehouse, then we will deliver free in a radius of 2 miles from our dept. We can quote you for longer distance deliveries if required. Unfortunately we currently do not offer a brochure to our customers. This is due to our ever changing stock list. For all the latest information and stock please give us a call on 07860 573 272. Yes, we have teams of experienced shelving erectors with specialist tools and equipment. We cover the Greater London and Home Counties area. Do you sell new shelving? Yes, we are able to offer competitive quotations for most new shelving systems. Do you sell second hand shelving? Yes, we specialise in the sale and installation of good quality used shelving and racking. How long has CMC been trading? CMC The Shelving Centre is a UK company. 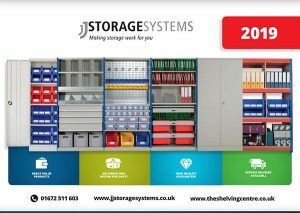 We have been trading in the shelving and storage industry for over 34 years. Due to customer response, we have recently launched this website in order to keep our customers updated and informed. Our warehouse is open 5 days a week, Monday to Friday (8.00am – 4pm) but you can call us at other times on 07860 573 272. Feel free to call us and arrange an appointment and viewing. What if I need to speak to someone urgently? CMC will always try to deal with your request as quickly as possible. But if you need to speak to someone urgently then please call 07860 573 272 at any time. Where does your stock come from? Our stock is carefully selected from businesses that may be making there existing storage or shelving system redundant. Our staff will check, repair and maintaining the system to make sure it comes to you in the best condition possible. Why does your website not show all your stock? As you can imagine, CMC have a constantly changing stock, with new shelving and storage coming into our warehouse on a regular basis. For the latest stock please call 07860 573 272.